A convergence of all things Taco Truck is in the works for June 24th. 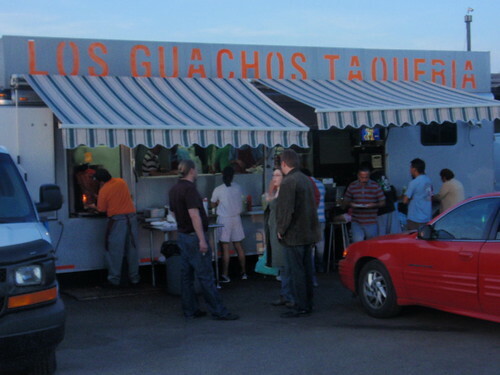 Of course Wednesday is the Taco Trucks Columbus Meat Up with Columbus Underground at Los Guachos. Columbus Foodcast has just released the first podcast of the Taco Trucks Chronicles – click HERE to listen. You may recall our afternoon Taco TV adventure with Channel Ten and Robin Davis a few weeks ago – the world premiere goes on the air during the noon news on June 24th. Last week, we took Kevin Joy and Eric Albrecht of the Dispatch on a night of Taco Touring. The story of our three hour tour and more will be in the newspaper Wednesday morning. We gave Kevin (writer) and Eric (photographer) the full Taco Truck experience: a failed search, a new find, the path of addiction to al Pastor and what turned out to be the pageant of Los Potosinos. We formed up into a Taco Truck caravan to search for Chapis Tacos but we missed them. Next we were off to follow up on a lead of a new Sullivant Ave. truck which turned out to be Taqueria Los Tolucos. The discovery of a new truck allowed Kevin to observe how we sample the fare, photograph and document for a Taco Truck post. 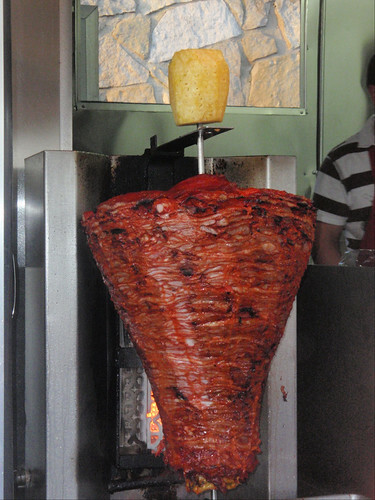 We went on to Los Guachos for some al Pastor. If Kevin and Eric were on the Taco Truck fence – this is where they picked the right side. Both are now smitten with Los Guachos al Pastor tacos. Note to the Dispatch and next of kin, if Mr. Albrecht ever goes AWOL and it is after 4 PM, there is a 93% chance he will be eating an al Pastor taco or gringa at a certain spot on the west side. We wrapped up the night at Los Potosinos. 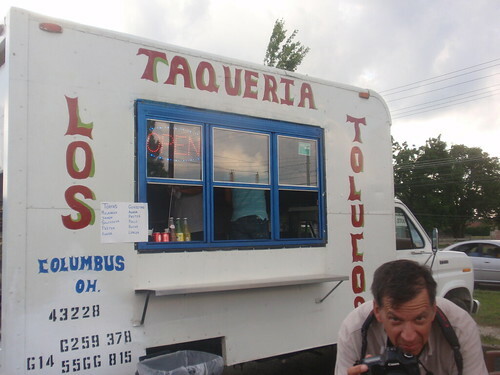 Since Taco Trucks Columbus and this Taco Truck started about the same time, we feel we have grown up together. Lidia and Eladeo went all out for our visit. 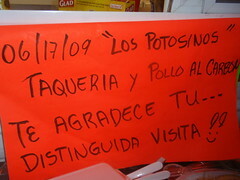 There was a spread of food – including the infamous Potosinos Pollo al Carbon and ice cream. 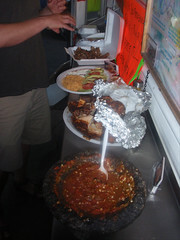 Catering to Taco Gourmand – there was goat meat as well. If that was not enough – we had a musical performance by Lidia’s niece. It was quite a night and we accomplished our mission – two more converts to the Taco Truck Cult. This is a great way to celebrate six months of Taco Truck Tracking. Thanks to everyone from Hungry Woolf, Taco Drew and CMH Gourmand. We appreciate the help, support and tips to date. And now that we are hitting the thirty truck mark….we will keep walking the taco truck beat.